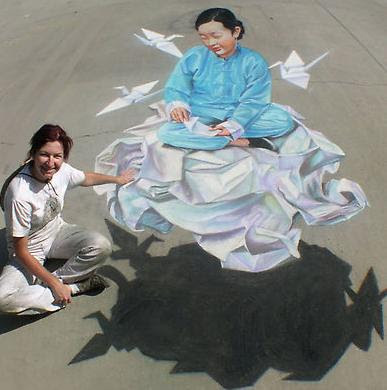 A professional street painter, Tracy Lee Stum, best known for her 3D street paintings, also called anamorphic or pavement chalk art. 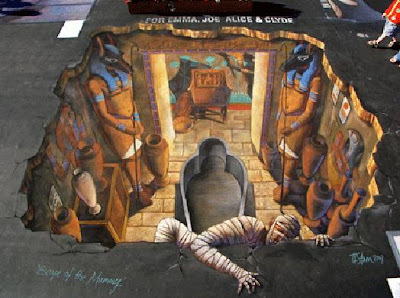 "3D Anamorphic Street Paintings are illusionary 2-dimensional images that appear to become 3-dimensional when viewed from a fixed point through a camera lens. 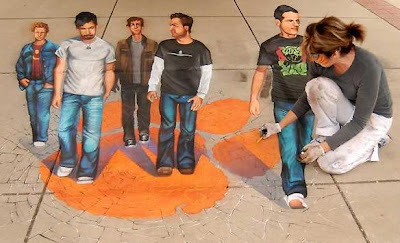 Tracy has been creating these types of chalk art images since she first started street painting and continues to challenge herself through this manner of visual expression." Visit the Tracy website - here. © Tracy Lee Stum. 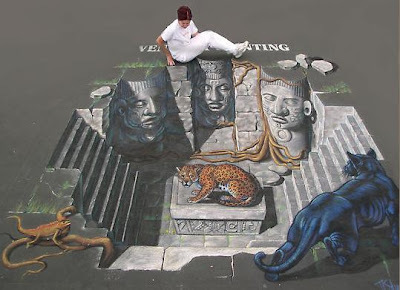 Images used with permission from artist. 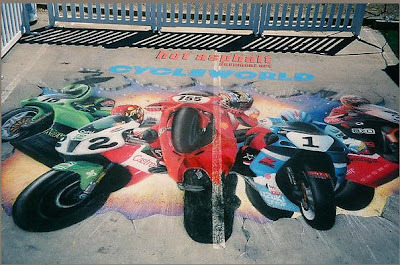 World's Largest 3D Street Painting.